First snow of the season – Win To Grin. 3000 yen voucher at the White Horse Bar in Echoland. This entry was posted in Hakuba and tagged First day of the season in Hakuba, How much snow falls in Hakuba, When does Happo one open, When will it snow in Hakuba, Will there be snow in December in Hakuba. Bookmark the permalink. 44 Responses to First snow of the season – Win To Grin. Locked in Shane T and Kasspa. Good luck. 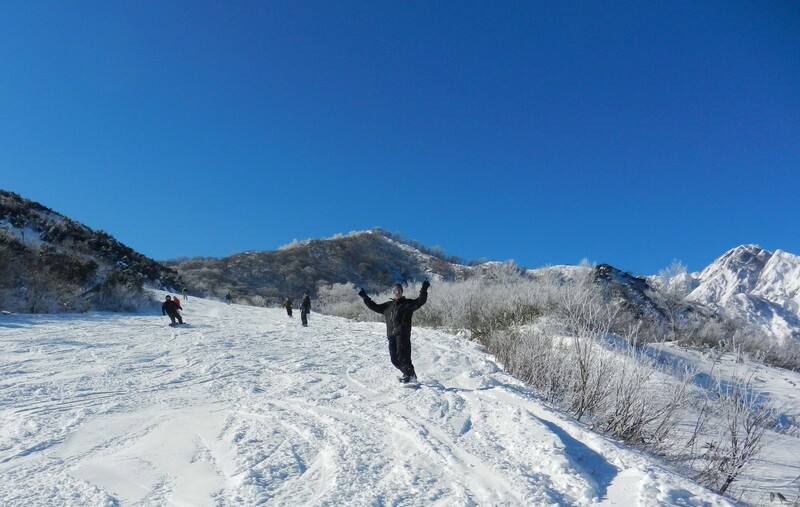 I’d love to have a go , but I don’t think I’ll be coming to Hakuba this season. 29th November. See you in Feb! Looking forward to it Nick. I hope either of you are correct Kane and Nick. I’m itching to get out there and the sooner the better. 21st November, cant wait to get there early feb!! Cyas out there! 26th November :). Over in Jan, can’t wait!! Sat 23rd Nov is my bet! thanks everyone for putting in your date. Hakuba local Matt Dunn was very keen to get on the hill and with a good knowledge base on the weather here he put in for the 11th November. Well, we should see some snow down low today so he wasn’t far off but.unfortunately no lifts running at this stage.